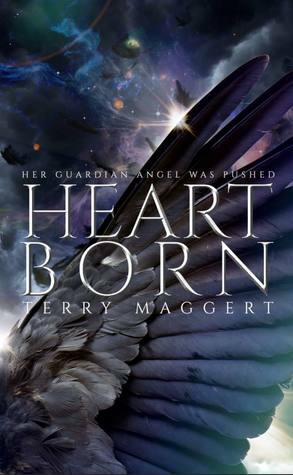 YA isn’t usually my area but I was more than happy to make an exception for Terry Maggert – his Halfway Witchy series is a staple on my comfort reading list and I’m pretty sure I could read and enjoy anything he could possibly come up with. Keiron is an angel, or something very similar. He’s from a city in a different time and place from the world as we know it, inhabited by angels, a corrupt government system and strong political families. When he takes the plunge to the world below, he leaves behind his wings and sets out to change the life of a girl who hasn’t yet lived hers fully. I think I would have preferred to have read a little more about Keiron’s character and his backstory but I’m keeping everything crossed for a sequel so I may yet get my chance! Livvy is a lovely, brave girl who is waiting for a heart transplant to bring her a new life but for now she’s struggling through with her every day. When she meets Keiron for the first time, she suddenly makes a connection and feels that maybe there is more out there for her. The chapters alternate between telling Livvy’s story and that of the Sliver, the world of the angels. The Sliver was an excellent concept, a mixture of classical and magical, with just enough description to let your imagination fill in the gaps. I particularly enjoyed the battles and politics being waged in the world of the angels while Livvy’s story is unfolding below, the world included a class system and some kickass gladiator style fights between the corrupt government and their opposition. It definitely is a YA novel though, so bear that in mind when you get stuck in – it does have teen hand holding and your mandatory mean girls! If you’re looking for the new teen fantasy book, this is definitely it – I can only hope that there’ll be more to come from these characters to take us into battle with the angels.